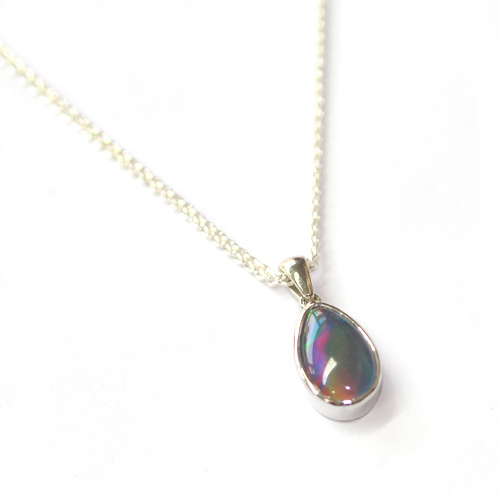 Pear Shape Opal Pendant and Necklace — Form Bespoke Jewellers Ltd.
A beautiful pear shape opal pendant and necklace. 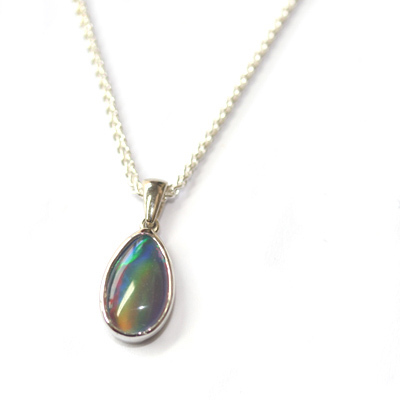 A triplet opal is unlike your ‘regular’ milky coloured opal. Instead it’s colour play is full of deep fiery tones. Here, a pear shape triplet opal is rub set into a neat silver setting. This provides a lovely tactile finish to the pendant. It hangs on a perfectly proportioned, silver spiga chain. A bold, colourful and versatile pendant and necklace.